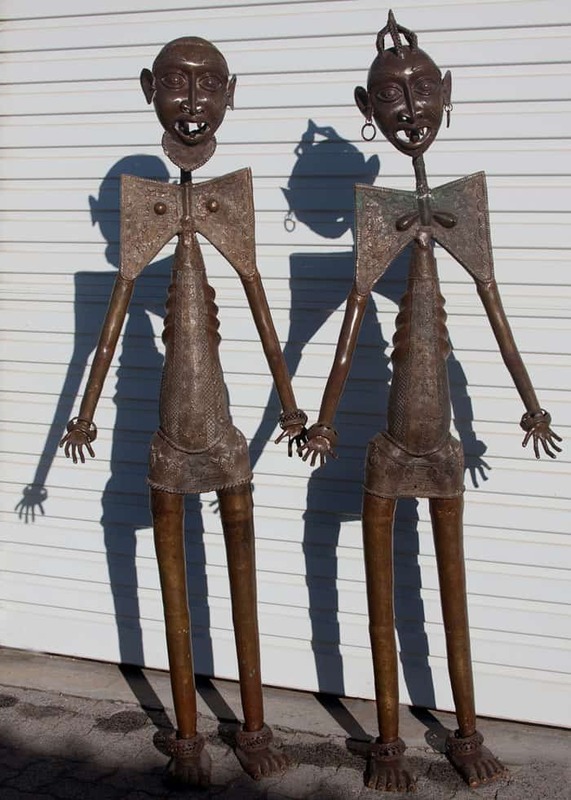 This African decorative antique bronze sculptures/statues are called Tikar meaning skeletons. This symbolizes the power of transition and they are from Cameroon. Name: Tikar (skeletons) A gift to celebrate Power and transition.